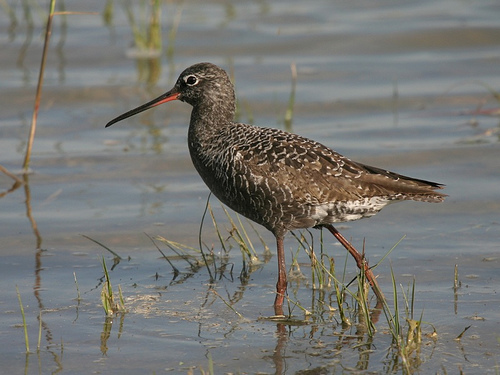 The Spotted Redshank is known for its black colour. It passes through western Europe in spring and autumn. 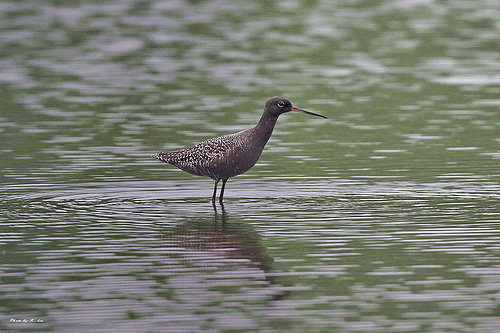 Occasionally some Spotted Redshanks spend the summer in western Europe. In winter, the bird has a light grey plumage.